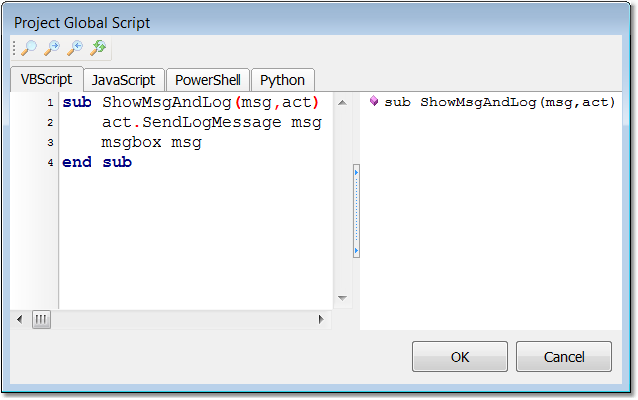 This dialog supports syntax highlighting, code completion, parameter hints and also will display subs, functions and constants in the right hand side section to make it easy to see an overview of your code at a glance as well as easy navigation within the script (double-click an item and it scrolls the code to the right spot). Once you have defined a variable, sub or function in the Project Global Script, you can use it in script events. It is available in all scripting like any other variable, sub or function.